V4 divergences: symptom of a deeper crisis in Europe? The spread of the Ukrainian crisis has aroused strong reactions of the USA and the European Union against Russian interference in Ukrainian politics. Russia is a strategic market for Europe and the close trades and financial links have pushed the European Union in the direction of a more moderate and careful response, at first. Because of the stalemate in the dialogue between Moscow and Kiev and the threat of a Russian military intervention in Ukraine, the EU has aligned its plan sanctions against Russia with the USA one, between July and September. Even if the EU has so far spoken with one voice, it was hard to achieve common agreements about the sanctions against Russia and, most likely, will be increasingly difficult to maintain a cohesive foreign policy for the European Union . Europe is split. Poland and Baltic countries demand for a reinforcement of the European defense system. On the other side stand Italy, Germany, France, Austria, Slovakia, Czech Republic and Hungary, moved by economic interests and reluctant to adopt tougher measures against Russia. The biggest divergence spread among the Visegrád Group members. The Visegrád Group, or Visegrád Four, is an Union of four Central European States – Czech Republic, Hungary, Poland and Slovakia,- built up for the purposes of enhancing the military, economic and energy cooperation in this area and of furthering their European integration. The Visegrád group represent a very relevant geopolitical zone, both for Europe and Russia. This region, along with the Baltic States, is more exposed than the rest of Europe to the negative effects of the war sanctions. According to many observers this group is now falling apart. 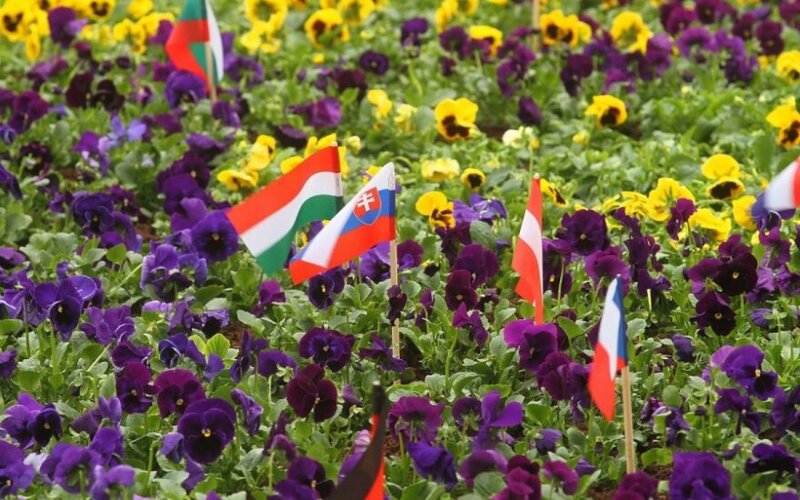 Despite the common declaration of solidarity for Ukraine and condemn of the Russia annexation of Crimea, stated during the V4 meeting in Budapest the 28 and 29 of April , the four States have not the same ideas about the question. At the extremes of this deep division as regards the conflict in Ukraine stand Poland, which has always maintained a strongly anti-Russian and pro-NATO position, and Hungary, suspicious of the Western countries and which clearly supports Moscow. The Czech Republic and Slovakia stay in the middle, maintaining a pragmatic and moderate position in order to avoid risks as much as possible, and now opposed to any further sanction against Russia. 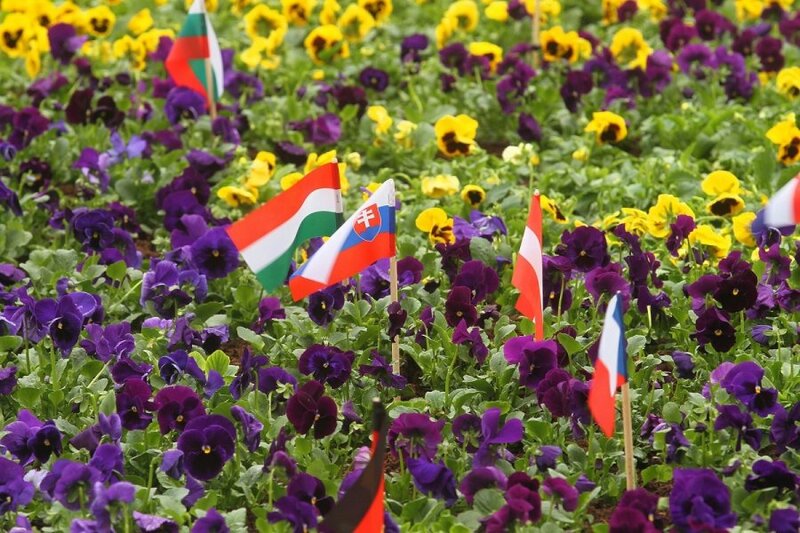 Divergences among Visegrad members increased after the NATO summit, held in Newport, on the 5th and 6th of September. Essentially it confirmed the NATO strategic focal points, stated in 2010. As the member of NATO stated in the Wales declaration: «Our predecessors met in London in 1990 to adapt the North Atlantic Alliance to a changed environment. We meet now in Wales at a time when our vision of a Europe whole, free and at peace faces multiple challenges ». The Russian annexation of Crimea, obviously, takes place among these challenges which affect security and stability of NATO’s members. The Wales summit claimed the strengthening of the security of all members, especially the European ones, through the guarantee of the collective defense clause, which, in light of the last events in eastern Europe, assumes a particular meaning. The summit also wanted to stimulate an improvement of the military capabilities of all members, trough the dislocation of NATO troops along the European Union eastern border and an increase in budgets devoted to military expenses. Poland has been ready to deploy armed forces along its boundaries and to receive NATO reinforcements. However, Czech Republic, Hungary and Slovakia refused to be part of this security plan, claiming that this attempt to strengthen NATO’s eastern flank might contribute to increasing tensions between West and East . The Slovakian Prime Minister, Fico, recently expressed shared thoughts among V4 members, except Poland. He stated that sanctions against Russia have not helped to solve this situation, on the contrary have led to escalated tensions; a diplomatic solution would have been the right way to follow . According to him, the Ukrainian crisis is just a showdown between Russia and USA, and all the other countries should stay out of it. The European involvement, so far, have just injured many small EU economies, including Slovakia’s one. There might be many reasons behind the different ideas among the V4 countries. Before their access into NATO, in 1999 and EU in 2004, the priority of the Visègrad members was Euro-Atlantic integration. They gave emphasis on humanitarian and democratic topics, especially with regard of Ukraine and Belarus conditions, aligning their vision with the groups they would have been part of. However, although the common declarations they did not implement any concerted politics, because of the different ideas on the way to achieve results. Poland has always focused its attention on human rights, more than the others V4 members. In the last years it started to follow the Berlin’s foreign policy , slowly parting from the other V4 members. Thanks to this rising alliance, Poland results a more credible European interlocutor. Germany, in fact, plays a key role about the spreading contrasts among the V4. In the last decade Berlin has become Moscow’s most important commercial partner and its largest acquirer of natural gas in Europe. However, since 2012, German-Russian relations started to deteriorate, and even further after the spread of Ukrainian crisis. Many observers state that the Prime Minister Merkel has lost her trust in Putin, and this would be confirmed by the pronouncement of the German Minister of Defense, Ursula von der Leyen, who recently claimed that NATO should increase military efforts along the European eastern border, especially in Poland and in the Baltic countries . Besides, Germany is the strongest economy in Europe and one of the most persuasive interlocutor for Russia. Behind their public statements there are ambiguous economic interests that push both of them to act carefully: a break in their relations would harm both of side. Probably Poland is aware that having Germany on its side, is a strong guarantee of security, in case of deterioration of the circumstances: Berlin would protect Poland’s eastern border, because it own safety depends on it. For this reason, Poland, more than other countries, can afford to take an hard line against Moscow. On the other side an hypothetical alliance with Russia could be very dangerous for Poland, in light of the recent demonstration of indifference for international laws, expressed by Putin’s politics. Poland chose Germany, but what about the other V4 members? The deterioration of the bonds with Germany, pushed Moscow to look for new alliances among the countries of central and eastern Europe, with which it shares a common past, even if not always peaceful. Regardless of their political beliefs on the Ukrainian question, the other 3 members of the V4 countries have decided to hold a soft line against Moscow, with the purpose to preserve their trade relations. Behind this attitude there are economic reasons. The Russian investments in Hungary has reached a deep level, especially in the nuclear sector, and this will led very soon to a complete dependence on Russia. Prague and Moscow have been developing tights economic bonds in the last five years , as well. Finally, many Slovakian industries depend entirely on Russia. The sanctions have already affected the Slovakian agricultural production and could damage rapidly also the automotive industry. However, although trade relations remain very important, there is something else that makes Russia irreplaceable for these countries: the natural gas. The Russian energy giant Gazprom operates almost as a monopolist and all the countries in the central-eastern Europe are nearly totally dependent on Russian supplies. On the contrary, the gas exports in this area constitute only a small part of the total Russia’s gas revenue. Moscow would not have problems to turn off the taps and this disproportionate relationship makes these countries particularly vulnerable, since their supply depends on the stability of relations between Russia and Ukraine. The pipelines linking Russia to the countries of Central and Eastern Europe, in fact, go across Ukraine; it’s understandable that they chose to stand with Moscow, or better, to not stand against it, especially after the serious consequences they suffered during the two gas crisis between Ukraine and Russia in 2006 and 2009, when Slovakia had even to declare a state of emergency. Moreover, the construction of two new pipelines, the North Stream, connecting Russia to Germany through the Baltic Sea, opened in 2011, and South Stream gas pipeline, which is to run through Bulgaria, Serbia, Hungary, Slovenia and Austria, make Ukraine no longer necessary. Just about the construction of the South Stream pipeline, Hungary, more than the other V4 countries, has all the good reasons for wanting to maintain the Russian support. Up to now Germany is the only country in Western Europe to receive gas directly from Siberia, and this second pipeline could make Hungary a new hub for Russian energy supplies, alternative to Berlin. For this reason, in September, the country stopped reverse-flow gas supplies to Ukraine, against the European commission directives . Some months ago the Russian Energy Minister, Alexander Novak, had threatened to cut off supplies to Europe if it had continued to re-export the gas to Ukraine. Punctually, after a meeting in Budapest between the Prime Minister of Hungary, Viktor Orban, and the number one of Gazprom, Alexei Miller, the Hungarian gas operator FGSZ announced the suspension of supplies to Ukraine on 26 September. FGSZ motivated the block with the increase in domestic demand for gas and with the need to maintenance works, because of the increased flow incoming . Slovakia will follow Hungary very soon in satisfying Putin’s requests. Since september 2014, Slovakia has been “forced” by Brussels to send Russian gas to Ukraine, using the reverse-flow deliveries. However, the Slovakian foreign minister, Miroslav Lajčák, visited Moscow on October, and said «it expected to sign an oil-supply treaty with Russia this month that would expire in 2029 ». The agreement has already been approved by the Slovak cabinet. Probably these countries are aware they’re not able to survive without the Siberian gas, especially in a time of economic crisis, and that’s enough to look beyond the distrust that history interposed between them and Russia. Their geographical position could help them to became the new strategic actors in the European energy market, and Russia could easily take advantages of its bond in Central Europe to make pressure on the European Union. Furthermore, they could be used by Russia as proof of the weakness inside the European Union, which lacks of unity. Russia has every interest in keeping disunited consumers countries of gas, so it can deal with each one of them, separately. Czech Republic, Slovakia and Hungary have chosen to opt for an undisguised neutrality, unlike Poland. Perhaps it will not be the winning strategy, but definitely the least risky choice at this time, and probably other countries will shortly join them, including some of the founding countries of the EU. After all, the EU and Russia have reached a too high level of interdependence: Russia is the third trading partner of the EU and the EU is the first trading partner of Russia and sanctions are likely to hurt both sides. It should be expected that ambiguous or contradictory signals of this countries, concerning the Ukrainian crisis, will increase, as well as the V4 divergences, if a solution will not be found soon. And, even if the situation will get better, Europe will never be a solid block and the Ukrainian crisis has just shown the many faces that it has. The world balance is changing, and this tug of war between Russia and the West will be an opportunity to redraw the geopolitical structure, inside and outside Europe. In this perspective, the idea of Fico does not seem so far from reality: the war of sanctions could be the last train of the Cold War between Russia and the US that, after more than 20 years from the collapse of the USSR, still continues to shake the foundations of international politics. Europe should have the strength to stand up as a third actor - it has the economic power to do this - rather than an ally of one or the other, because this will exacerbate tensions and it will be Europe to pay the highest price. It seems that EU is finally choosing this path, and the proof is the agreement signed by Russia and Ukraine on 31 October 2014. The deal should end their dispute over gas supplies and it was entirely brokered by the European Union, which also guaranteed for the payment of Ukrainian debts. On the other side, Moscow agreed to grant Kiev a discount on gas price. It’s clear that the variety of views inside EU could not be just a problem, but could definitely become its richness and its asset, making it flexible and able to mediate effectively between political actors.